Obamacare is the nickname for the Affordable Care Act. Signed into law by then-president Barack Obama in 2010, the ACA was his signature legislation. It was meant to form the framework for transforming the messy and inefficient U.S. healthcare system into something that worked better. Although it enshrined many Republican ideas for transforming health care, GOP members in Congress rejected it and the law was passed without a single Republican vote. Opponents nicknamed it “Obamacare” as a derisive term, but the Obama White House decided to embrace the name. The 2013 launch of the marketplace made headlines when the online exchanges crashed. The No. 1 goal was to get coverage for the millions of Americans who had no health insurance at the time. It takes several roads to getting more Americans covered by health insurance. It offers private health insurance via online marketplaces called exchanges, often with a very substantial federal subsidy to pay the premiums. It encourages states to expand their Medicaid programs to cover more low-income people and about half of the states have done so. It requires health insurers to pay for basic services, such as cancer screening. And it imposes strict rules on health insurers that forbid them to drop sick, expensive clients and requiring them to accept even people with pre-existing conditions. 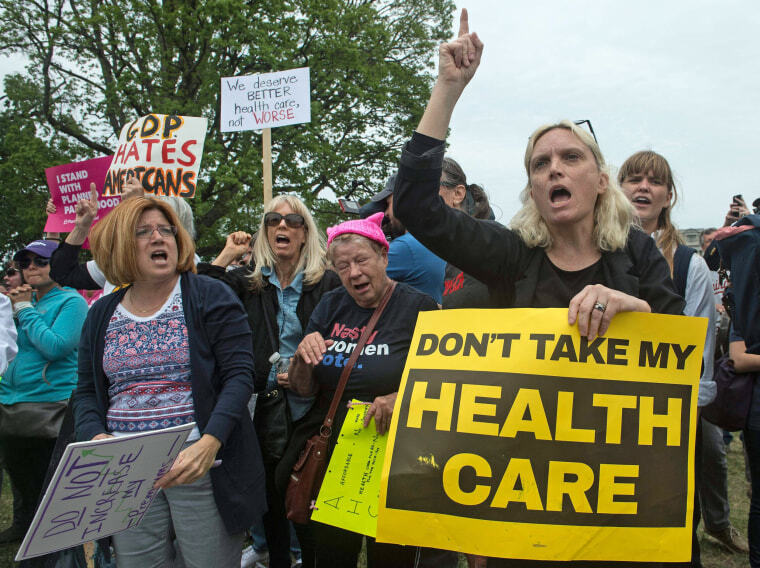 The Trump administration has weakened popular provisions requiring health insurance to pay for birth control services, however, and is working to allow the marketing of bare-bones health plans that Obamacare tried to banish. The law was challenged almost as soon as it was passed and its main provisions were on hold while the Supreme Court decided if it was even constitutional. In a landmark 2012 ruling, the court ruled that the law’s individual mandate, requiring everyone to have health insurance or pay a fine, was constitutional. Chief Justice John Roberts wrote a compromise calling the fine a tax, which made it legal. But the court said that states could choose whether to expand Medicaid. The law would have required them to do so. Many Republican-led states decided not to make Medicaid more widely available, even though the federal government would have paid for the expansion. That left millions without health insurance. The law’s been challenged multiple more times in the courts. President Donald Trump vowed to “repeal” the law but despite many, many votes, Congress has so far failed to do so. This is the most unpopular provision of the law and it’s the one major provision that Congress dismantled as part of the budget process last year. The mandate was meant as an incentive so younger, healthier people who may not think they need or want health insurance would get coverage anyway. It was also a means of making sure people do not wait until they are sick to buy insurance. It was originally a Republican idea, included in the 2010 law to try to get GOP votes.